After looking through our past articles on some of the H3s available, you may feel as if none of those courses pique your interest sufficiently enough to justify your taking them. If so, one (or two) of the H3s listed below may just be right for you. In this article, we complete our coverage of the various H3 subjects by featuring several J2s’ experiences of the H3s offered by local universities. You may also wish to check out our guides to H3 History, some of the Science H3s and a few of the MOE H3s, as well as our article on whether you should take a H3 at all. 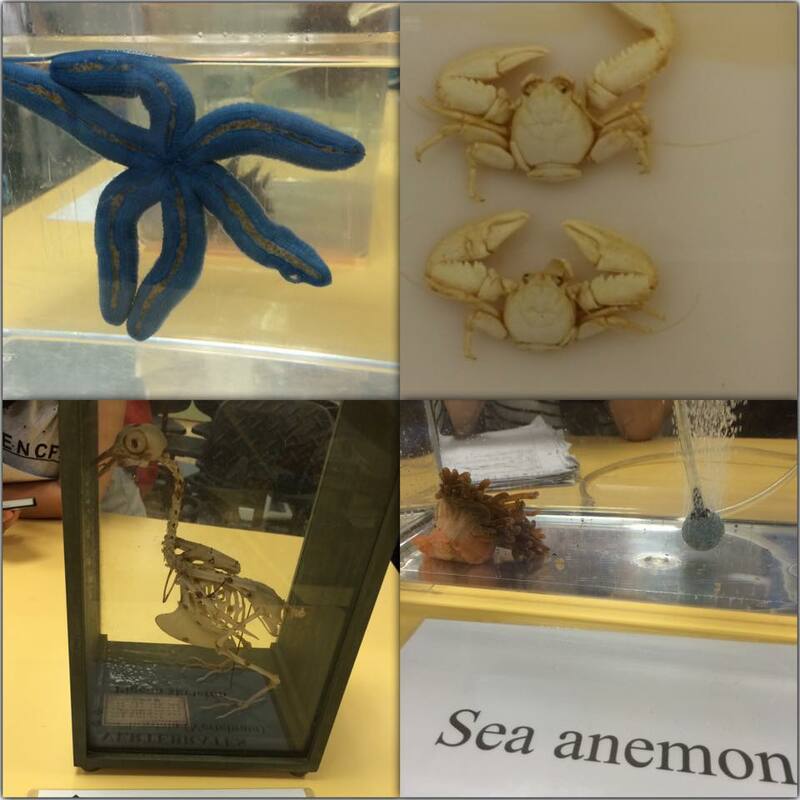 NUS Biodiversity is definitely one of the rarer H3s taken by Rafflesians, with only 4 RI students taking it in 2014. However, Seah Si Min (14S03G) clarified that students attend the course alongside NUS undergraduates, making the actual cohort about 250 – 300 students strong (of which only about 20 – 30 are taking it as a H3 subject). The course covers 3 main domains: Microbiology, Botany, and Zoology. Aside from lectures, field trips and laboratory work, online forum discussions are also incorporated into the curriculum. “You do get exposed to different types of plants and animals…The field trips are definitely the highlights of the course!” Si Min enthused, a sentiment echoed by fellow student Ngim Dean Gee (14S03G), who appreciated the opportunities for hands-on interaction with biological specimens. In terms of the assessment format, Biodiversity students will have to submit several graded essays, which are typically based on practical sessions. Students will also need to complete a zoology practical that makes up 15% of their grade, though the less adroit may be relieved at the fact that this involves very little hands-on work. Lastly, students will have to sit for a final examination, which consists of 3 written essays on the 3 main topics taught. “Bear in mind that the graded essays you write are the only essays you’ll get to hand in and get feedback on, simply because the lecturers/teacher assistants there don’t have much time to mark your work,” Si Min warned, while also informing us that these university-level essays are mostly graded using a LORMS scheme rather than the conventional 1-point-1-mark scheme that H2 Biology students are familiar with. However, Dean Gee said that students are split into small groups of about 14 – 15 students, creating an environment that greatly facilitates learning. “The teacher is able to cater to the needs of every individual and hold individual consultation sessions after every [graded essay] is completed,” she explained, adding that the professors are highly approachable. In short, while only a few of your assignments will be marked, you will receive highly personalised feedback for each of these assignments. Nevertheless, Si Min also pointed out that practice essay questions are scarce as this H3 has no Ten-Year Series equivalent for students to refer to. To make things even harder, the notes provided are, in her view, quite unsubstantial. “Campbell Biology is a must,” she emphasised, and Dean Gee advised that H2 Biology notes are slightly helpful as well. Do also take note that with one 2-hour lecture and one 4-hour practical session a week, and with both being on separate days, this H3 will likely take up a significant portion of your time. Despite the numerous hurdles she had to overcome while preparing for her examinations, Si Min felt that her H3 experience was not bereft of enjoyable aspects. “You get to experience NUS life since lessons and practicals are conducted alongside undergraduates, and given the small cohort size each year, you’ll definitely make new friends,” she reassured interested students. She also said that since the course ends in May, students will still have about half a year to brush up on their H2 subjects. To the uninitiated, the title of this H3 course alone may seem terribly intimidating. Indeed, as with all the other H3 subjects, one should only take this H3 if one has a considerably strong foundation in its prerequisite subject, namely H2 Physics. As Barry Koh (14S06O) shared, “The professor from NTU will just skip all the ‘easy’ parts [especially those pertaining to H2 concepts under Current of Electricity as well as Alternating and Direct Current] and get straight to discussions on the ‘difficult’ parts.” It is also advisable to be adept in manipulating equations involving logarithms, e and inequalities. Additionally, Barry said that the professors in charge of the course frequently “push you mentally to think further and deeper”, such as by asking if certain methods could be used to find not only the variables requested by the questions, but other unknown variables as well. Although there are only 3 laboratory sessions, each session lasts a lengthy 4 hours, and lab assignments have a 10% weightage in total. There are two papers: one mid-term test (20%) and the critical final examination (70%). “The [mid-term] paper was generally very generous with marks, where a simple calculation was worth about 5 marks,” Barry remarked, hinting that students should not feel overly alarmed by the fact that questions may be worth a huge amount of marks by themselves (e.g. 30 marks). One of Barry’s most priceless takeaways came from a particularly memorable incident that occurred during his first laboratory test. “[A River Valley High student and I] were trying to derive an equation based on the one month or so of tutorial lessons and knowledge, but we couldn’t. After a while, the entire lab became like a ThinkTank of about 16 JC students who were trying to solve one single question. The professor allowed us to discuss even though it was graded because he believed that learning was more important than grades,” he recounted. In our highly meritocratic society, where so many educators and students alike are preoccupied with the paper chase, having such a teacher certainly seems like a tantalizing and refreshing prospect. “[This experience] showed me how fun learning can be, especially when you are surrounded by nice, like-minded people. At the end of the course, your outlook on fellow JC students from other schools will change such that you will respect them more,” Barry added. Similar to NUS Biodiversity, this H3 course ends in May, giving students ample time to prepare for their H2 A Level examinations. However, Barry did call attention to the fact that this course has sessions twice or even thrice a week, and that these sessions can be 2 – 4 hours long, depending on their nature. “The tutorials will progressively get tougher, so be prepared for sleepless nights,” Barry pointed out. Hence, if you foresee that you will be preoccupied with multiple other commitments in your J2 year, you may want to think twice before enrolling in this H3. To partially mitigate this, Barry advised students to set up a Whatsapp group for their tutorial group, so as to create an avenue for them to engage in discussions and compare question answers. *Do note that the application deadline for 2015 H3 HSSR has passed. NUS-MOE Humanities and Social Sciences Research, often abbreviated as HSSR, is a full-fledged, highly rigorous research programme in which students, under the supervision of a professor from NUS, have to write a 4500-word research essay. Students’ projects should fall under the purview of one of these subjects: Economics, Geography, Literature in English, Chinese Language and Literature or Malay Language and Literature. H3 HSSR students are allowed a generous 6 consultations with their supervising mentors; however, according to Kimberly Chia (14A03A), this means that students have to constantly be on the ball. If you’re hoping for complete freedom to choose your research topic, prepare to be disappointed, as you will have to propose an area of study related to broader topics that have been uploaded onto the MOE website. Fortunately, one of the topics put up — urban geography in terms of specific sites in Singapore — happened to align with Kimberly’s interests; she thus conducted an investigation into gentrification in Tiong Bahru, which involved documenting the observable changes in the district and residents’ perceptions. When queried about the time commitment required, Kimberly commented that it is quite heavy. “Think PW WR, except doing it alone and having to write about twice the length,” she quipped, though she admitted that Geography projects may come with a greater workload as primary fieldwork is essential for that subject. “It’s usually a full afternoon of work a week, but that is if you are consistent,” she estimated. “If you’re the kind of kid who can work with fixing your own schedules, you should do okay!” Another difficulty that Kimberly encountered was resisting the urge to force-fit her results — “I wasn’t too convinced by my own ambiguous, [inconclusive] findings, but my Professor assured [me] that it was alright,” she recalled, advising students to remain open-minded about their data and their research in general. “If you are okay with reading a lot, it’s a bonus,” she said. Experiencing these setbacks did make Kimberly more aware of the value of this particular H3 programme. “I think it’s a good determinant of whether you want to really deal with this subject at university, because if you can’t tahan (handle) this, you probably won’t be able to tahan your university dissertations…It made me question if I’m really up to the mark in terms of thinking independently and being able to work hard and also smart as a student…Because it’s not course content at all! So, you have to really navigate it yourself most of the time,” she mused. “What exactly is Geopolitics?” Such is the question that many students are likely to have, and Ying Yilun (14A01C) and Adam Shehabuddin (14S07C) answered it thus: “The understanding of the intertwining relationship between space and power.” Though this may sound rather abstruse, the two students advised, “As long as you have a deep interest in current affairs and are curious of the political milestones in the past century, you should consider exploring this H3 option because it covers many present-day global issues and approaches these issues from concepts like territoriality and imagined communities, as well as remaking and unmaking space.” Students can expect to analyse a diverse array of topics, ranging from visual representations of Geopolitics, to issues of nationalism as exemplified by the Israeli-Palestinian conflict and the Bosnian War, to the effects of the Cold War on Southeast Asian nations and to the transboundary effects of environmental destruction as seen in the Arctic and Mekong river basin. However, the two students highlighted that the professor-in-charge, Dr. Carl Grundy-Warr, makes changes to the content of the course even midway through it, though the overarching themes will likely remain constant. The syllabus is taught via weekly lectures and fortnightly tutorials lasting last 2 hours each, and the course ends in late April/early May. A student’s grade will be determined by his/her performance in 2 take-home assignments (20% each) and a final examination (60%), which requires him/her to pen 3 essays in an unnervingly short 2-hour time span. While the course involves an integration of both historical and geographical concepts, Ying Yilun (14A01C) and Adam Shehabuddin (14S07C) felt that your choice to take History or Geography “won’t make a significant difference to your foundation knowledge and grasp of the course content, [even though it] can get a bit technical with loads of new concepts”. Although History students will have already learnt about many of the conflicts covered in this course, Geography students have a greater advantage when it comes to viewing these events through a spatial lens. However, the university-based nature of this H3 may be hard for some to get used to.“You’ll basically be in the same lectures as the university students, so be prepared for less handholding and more independent study. You won’t be getting consults or be able to submit draft essays, so make sure you clarify your questions as soon as possible,” the duo advised. On the positive side, signing up for this course grants you access to a large amount of university resources, namely all the NUS libraries and online databases. The two students thus urged prospective students to demonstrate intellectual curiosity and make full use of the available materials; however, if a lack of time is a concern, they did say that Dr. Carl does not expect students to do so and that one can just choose to read up on a few sub-topics that one is interested in instead. The course was also lauded for its “creative and appealing” nature — the students cited how Dr. Carl’s extensive use of films and cartoons breathe life into what would otherwise be a relatively dry syllabus. As Barry soberly disclosed, “Having a H3 subject is not going to make you better than others; it’s not going to make you feel smarter. In fact, it’s going to make you wish you hadn’t taken it.” He urged students to disregard the temptation to take a H3 subject if their reason for doing so is to adorn their resumes, and said that one’s interest in the subject should be the most important factor when deliberating if one should apply. Many of those we interviewed concurred with this very statement, and what we gleaned from them is the often restated yet undeniable truth that you should think very carefully about your passions and strengths before making this major decision. While H3s may not be suited for everyone, they promise to be unforgettable and enriching experiences for those with the eagerness and willpower to delve deeper into their subjects of choice.